Although search engine optimization (SEO) and content marketing are sometimes treated the same, it would be a mistake to consider them interchangeable terms. While there is a certain level of overlap, the two methods have very clear differences. SEO is a more technical approach that focuses on things like URLs, titles, tags, keywords, and website arrangements. Content marketing, conversely, focuses on producing quality pieces that appeal to the desired audience. The main difference arises when you recognize that content marketing does not always line up with the goals of SEO. For instance, a quality piece of content on its own does not necessarily attract search engine results in and of itself. As a result, when working on your business’s marketing plan, it is important not to mistake content marketing and SEO as the same thing. Understanding how the two approaches fit together can let you enjoy their full benefits. Attempt to Google a recent event or do research on a given topic. Chances are that among your results will be two or more web sites that have identical information, sometimes to the letter. Thin or recycled/copied content may have attracted Google’s feelers in the past but this has been changing in recent years. Such content is now weak and offers little SEO benefits as the algorithms now prefer original pieces overall. These pages, however, can be of use to you in designing your own quality content. Look at them and ask what information you can offer that won’t be found elsewhere. This can be anything from creating a comprehensive list of sources—thus producing something more broad than any one source alone—to approaching a subject from a different angle or viewpoint. Always ask about what in the content would make someone linger on the page or come to you instead of another source. Big events in the news are popular with SEO because they create sudden, massive spikes of interest that can be quickly capitalized on. However, this phenomenon rarely lasts in the long-term as matters resolve or more urgent and newsworthy events occur elsewhere. This is why “evergreen” pages are useful. These are things like advice articles or recipes or explanations that are not dependent on seasonal or specific news topics to be of interest. When properly handled, evergreen content can produce a virtuous cycle of sorts. The content leads to higher sustained rankings that leads to more attention and more successful content in the future, ad infinitum. A single piece of solid, quality content can lead to a boom in SEO results. When designing a piece of content, keep in mind the sort of terms people actually use when looking for it. Employing the phrase “myocardial infarction” for instance is going to get a much narrower audience than the more common “heart attack”. This is fine if you are, for example, a medical supply company, but less so if you are targeting layman-based audiences. Keyword research can help you understand the language people use when they look up topics and can lead to better SEO as these terms are worked into your content. Having said that, be aware that content marketing sometimes has to do things that SEO won’t necessarily like. Sometimes, using certain keywords—or too many—can throw off a content’s pacing or voice and hinder quality. If keywords are forced, the audience will pick up on this and it’s not a good idea to get exposed. Generally speaking, your content is written to attract people to your site for a specific reason. This can be anything from viewing other content pieces, signing up for a newsletter, making a purchase, etc. To further this, you can employ internal links within your content to make navigation around the site smoother and easier. In these instances, the content should be written as such that it ends up leading the reader to the new page or at least encourages them to do so. A good headline can both summarize and sell a piece of content. It can be tricky to strike a balance between unnecessarily long, informative, and eye-catching, but there are ways to do it. Google has a habit of truncating long titles, so keep in mind how many letters you can use before this starts happening. It is always better if the full headline is visible. If you want your headline to be shared, try to keep it under 150 characters so readers can retweet it without editing and maybe have space for their own comments as well. Secondly, while “top 10 tips” type of headlines are effective, they are also oversaturated. You want headlines that stand out, not ones that can be written off as another shallow list-type piece of content. Lastly, remember that none of these are hard-and-fast rules. Breaking them can sometimes result in magnificent eye-catching headlines. When NBC wrote about a report on contact lens use, it choose the wonderful headline, “CDC to 40 Million Contact Lens Wearers: You’re Doing It Wrong”. This headline is long enough that Google truncated it, but is attention-grabbing and unique. 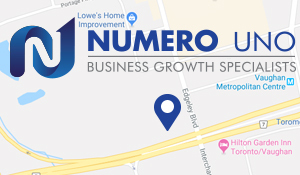 Numero Uno Web Solutions is a provider of search engine optimization and content marketing solutions to start-up and small companies from all industries and fields. We stay on the pulse of industry changes and adapt our practices to produce quality SEO and content marketing plans to fuel the growth of businesses across communities. Click here to learn more about content marketing and SEO techniques and how we can help improve your search profile.